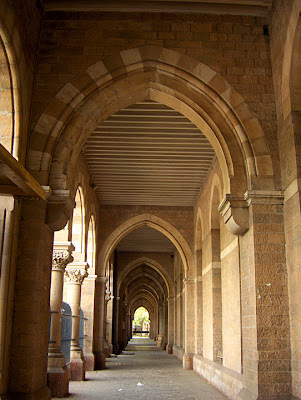 Fort area in south of Bombay, now Mumbai, lays out an array of Victorian Architectural examples building after building. 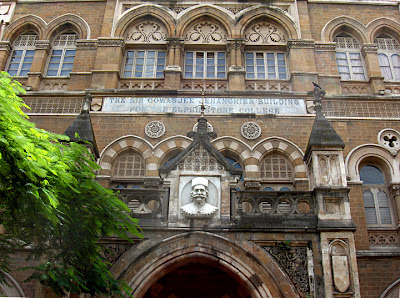 A legacy from our colonial history, its a good anti-thesis to all that this city has grown to stand for over the years. 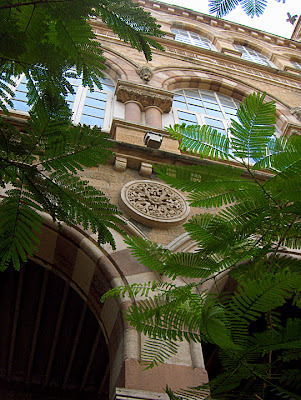 Much like your average Bombayite, yours truly, had no clue about the history or the reasons-to-be of this building, apart from the knowledge that it was recently restored by the KalaGhoda Association. But devotion to eyecandy and a flickr induced photography obsession made sure I captured Elphinston College and wrote about it here. 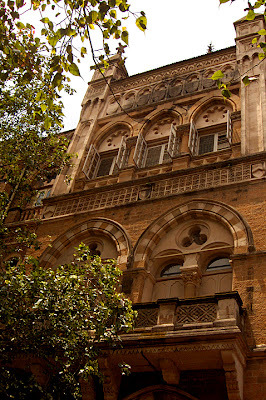 "This majestic building was designed by Trubshaw and Khan Bahadur Muncherjee Murzban in the 1880's. 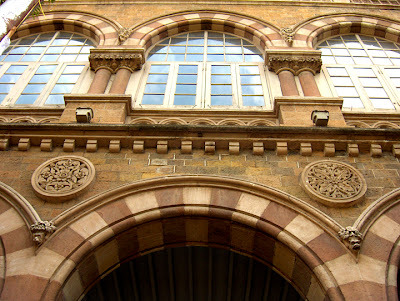 Originally meant to house the Government Central Press, it was completed by John Adams, Executive Engineer to the Bombay Government at a total cost of Rs 7,50,000 (Rupees seven and a half lakhs) which included a substantial sum donated by Sir Cowasjee Jehangir. 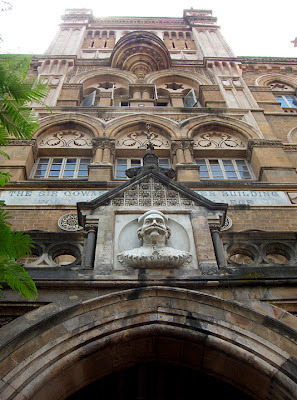 The building was used for academic activities from April 1888. " 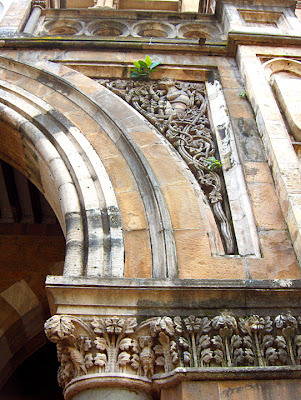 "The College building has been nominated for UNESCO's Asia-Pacific Heritage Awards for Culture Heritage Conservation for the year 2004." 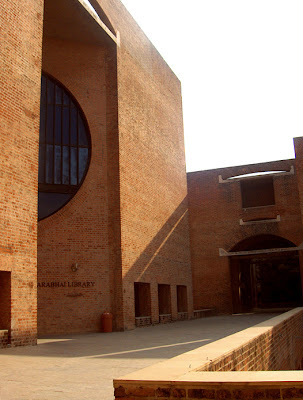 "The rich library of the college has a collection of over one lakh books, journals and periodicals. 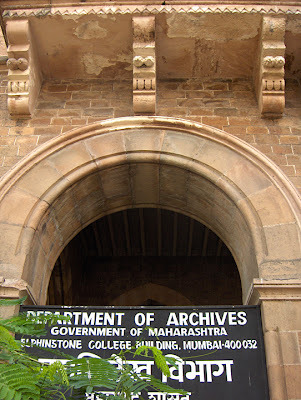 Its range is vast - from some of the oldest and rarest books in the country to the latest and the contemporary." A passage which is sealed off so that it doesn't become thoroughfare. The details- which make all the reasons-to-be secondary. 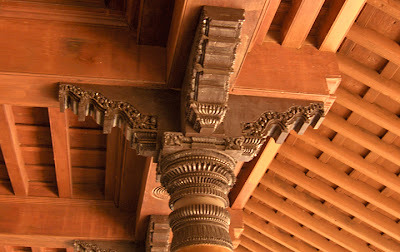 This is not the 1st time I'm going to Dakshina Chitra, but this time I went so i could share with you the pictures & the unique experience that this cultural heritage centre offers. 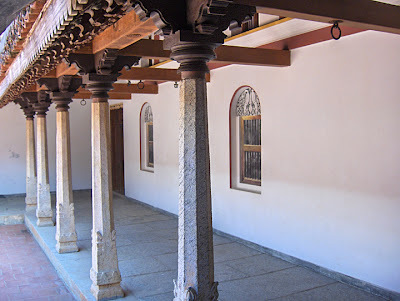 This place is to my knowledge the only place which has 'recreated' the traditional South Indian homes. The attention to detail is mindblowing. 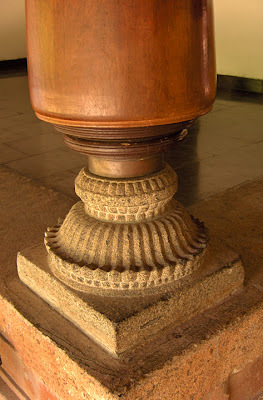 'Dakshina' in Sanskrit means south & Chitra means 'picture'. 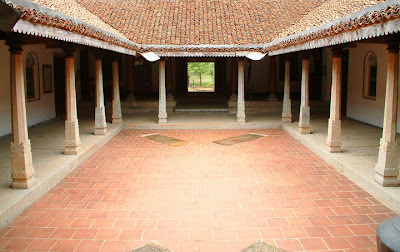 "DakshinaChitra is a unique Heritage Centre located on the east coast road in Muttukadu on the way to Mahabalipuram which offers the visitor an unforgettable & authentic insight into the lifestyles of the diverse peoples of South India. 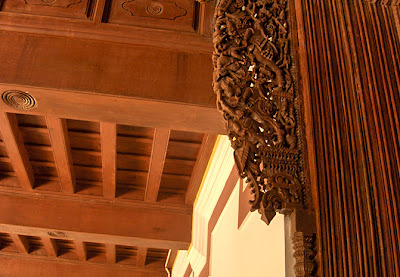 Traditional craftspersons & folk artists work & perform in the reconstructed period settings of 19th century streets, homes & workshop-spaces in the TamilNadu & Kerala sections." 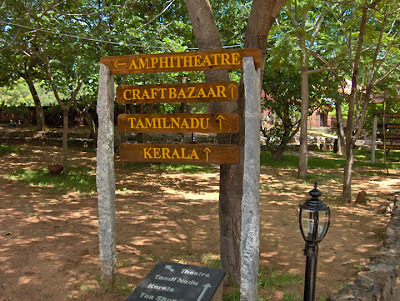 The Amphitheatre hosts regular folk performances and involves the performers in interactive programs and workshops. 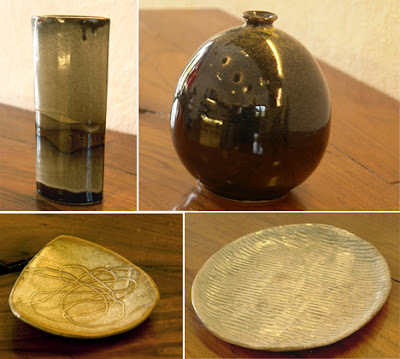 The craftshop has artisans from all parts of India demonstrating & selling their work. All in this quiet ambience. 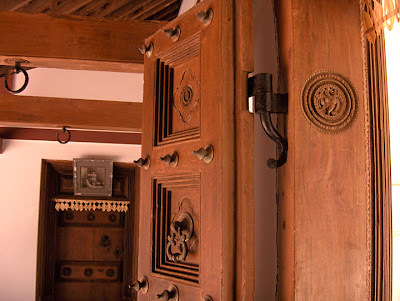 Note the Iron Door Hinge and the design detail next to it. 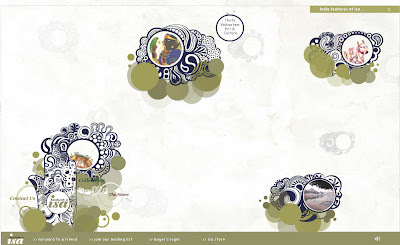 When i discovered Dhruti Dogra's 'Handmade in ISA Store' through decor8 ( she won a contest there), my first thought was- beautiful work, showcased in a superbly packaged site- therefore must be an Indian store in Canada or someplace abroad. 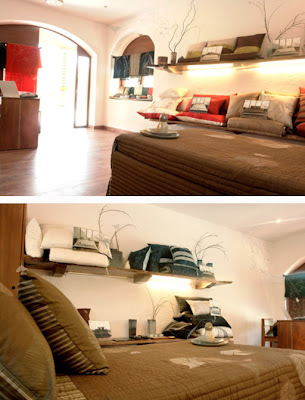 Handmade in Isa Store is filled with contemporary designs in scrumptuous fabrics, browns, greys & stylised bird & leaf motifs. And if what a lot of blogs like decor8 & oh joy are featuring is anything to go by then this trend is very hot in international decor. 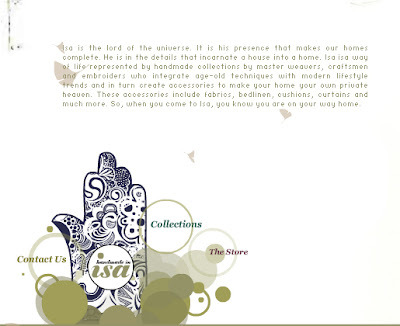 So what a surprise to discover that the Isa store is in Delhi! 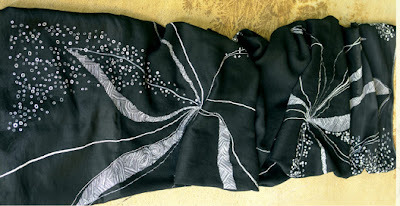 The brain, brawn & soul behind Isa, Dhruti says "I studied fashion at NIFT Delhi and then moved to textiles….so perhaps because of my background my approach to home textiles is with an eye to fashion… "
And now for the superbly designed site that showed me all of this. "Isa is the lord of the universe. It is his presence that makes our home complete. 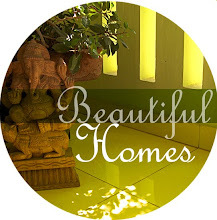 He is in the details that incarnate a house into a home. 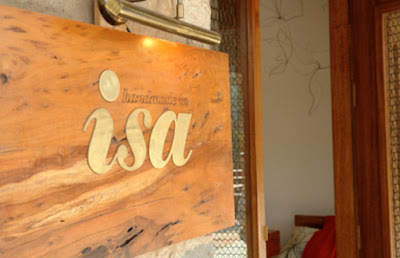 Isa is a way of life represented by handmade collections by master weavers, craftsmen and embroiders who integrate age old techniques with modern lifestyle trends and in turn create accessories to make your home your own private heaven. 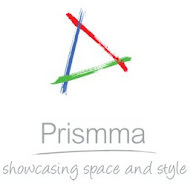 These include fabrics, bedlinen, cushions, curtains and much more. So when you come to Isa, you know you are on your way home. " 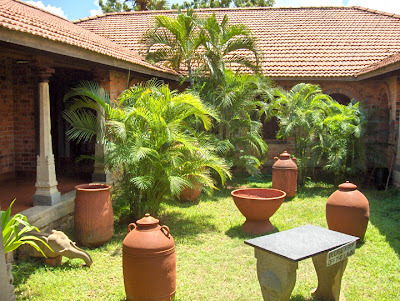 Artist 'Thota Vaikuntam' is featured. 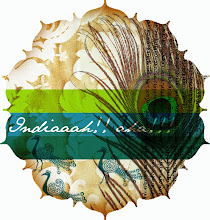 Im a complete fan of his work- very graphic & indian style. 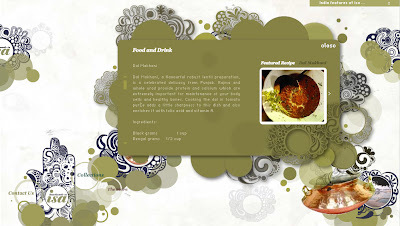 The site is designed by Illum design, Dhruti's husbands company. What a superbly talented design duo! 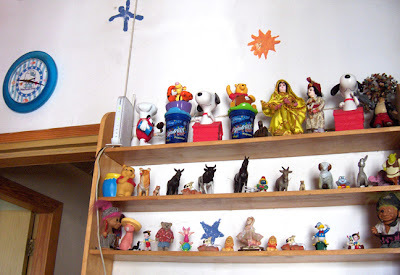 This is a house of artists. 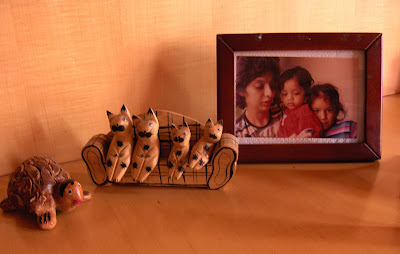 Zaheer Mirza, maverick, creative director, actor, ace cook, design enthusiast, information junkie, seasonal fitness freak and a doting father is a man of many, many, many passions. 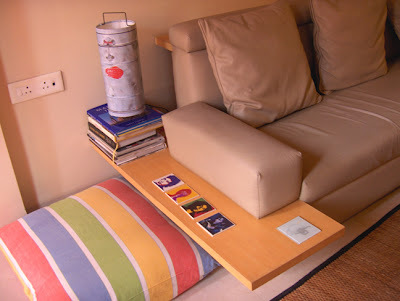 His warmth is evident in this house from the bright floor cushions to the super colourful childrens' bedroom which is clearly any child's DIY haven. A picture is worth a thousand words. So without much ado, bringin on the eyecandy....! 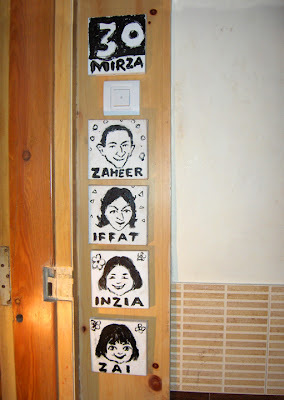 5 canvas blocks and 4 quick character sketches done by Zaheer announce the home. 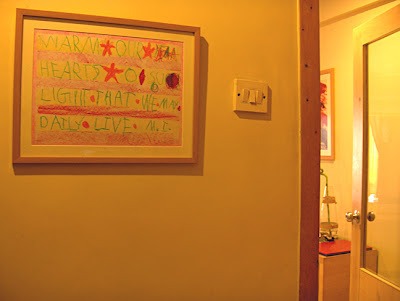 A prayer that Inzia learnt at school, framed- welcomes you into the home. 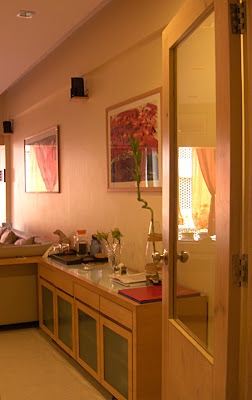 The 1st view of the house. 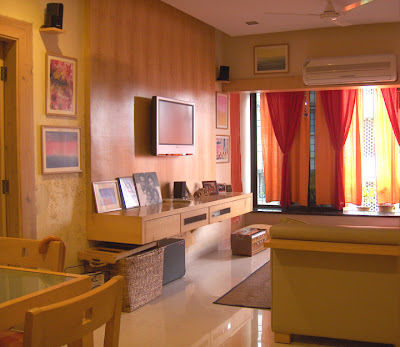 The living room is bathed in warm tones of orange & picked beautifully by the wood. 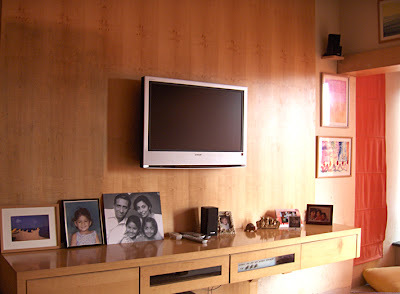 The light wood panelling holds the complete home entertainment unit- flat screen, dvd, speakers & cleverly hides the wiring. This is good design. 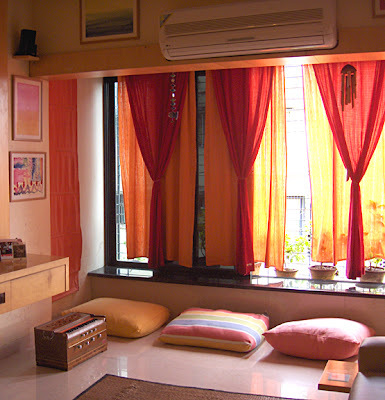 Layered curtains, colourful floor cushions & a harmonium. Zaheer's girls, Inzia & Zai are training in Hindustani classical music. 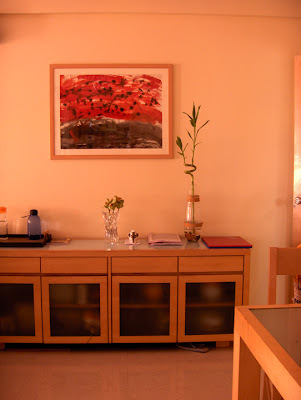 The painting was done by 8 year old Inzia a couple of years back. I told you its a family of artists. 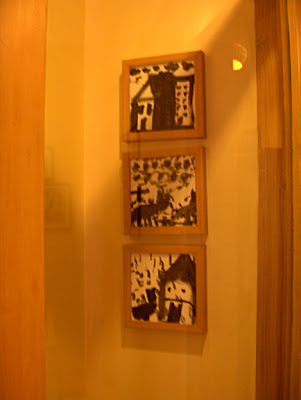 Inzia's black and white sketches. 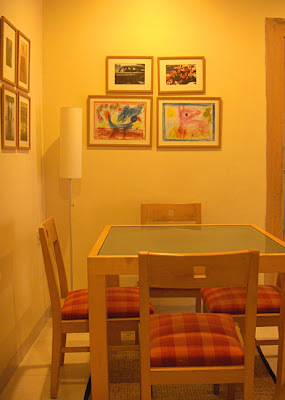 The dining area. 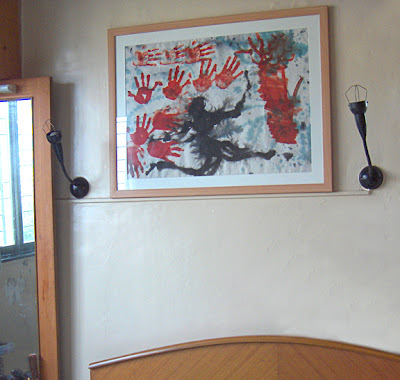 National Geographic prints share space with Inzia's art. Anybody who has lived and worked in Bombay will recognise that dabba. Only its not the famed lunch carrier but a clever lamp from 'Loose ends'. Music & poster art on coasters. 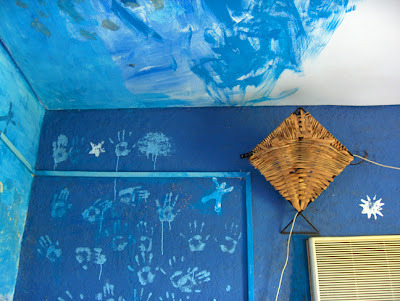 ....the other wall and the ceilings are an everchanging canvas of play and colour! The walls in this room have been Inzia's and Zai's drawing board from when they were little & it evolves along with them. The Jute kite is actually a lamp shade that throws interesting patterns across the walls. “A child who does not play is not a child, but the man who doesn't play has lost forever the child who lived in him and who he will miss terribly.” Pablo Neruda. 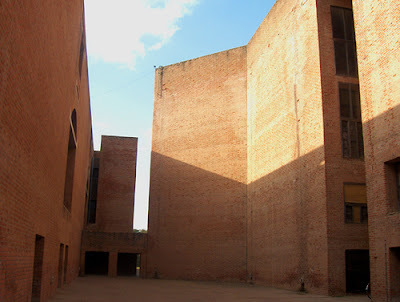 Zaheer Mirza is a Pablo Neruda fan. 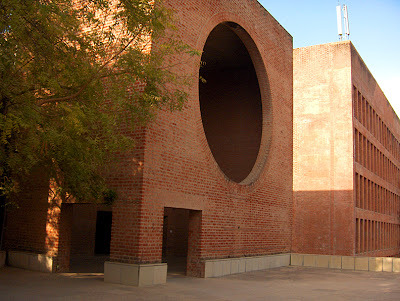 When i went to Ahmedabad - IIM A was on my to-see list. So we trooped off dutifully. 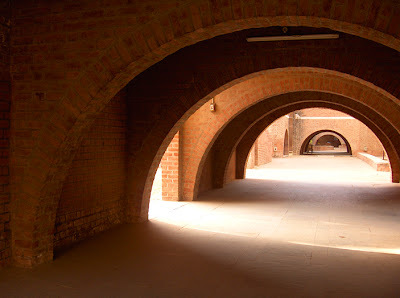 But no one had prepared me for the stillness, the bigness, the austerity or the sheer magnificence of the place. Thankfully it was during the new year weekend & there wasn't a soul around. Standing in the Louis Kahn Plaza and walking the corridors of the place I could see the space inspiring in a person the need to grow, to be better and higher than his/her present self. It was a very quietening experience. The sun shining down on the unrelenting lines and gracious circles and curves was a sight I will not forget in a hurry. 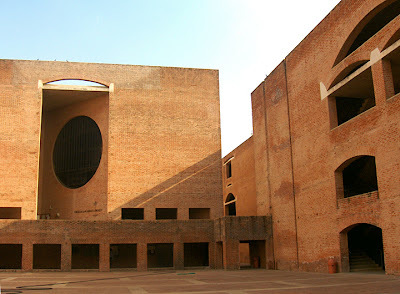 "IIM-A was established in 1961 as an autonomous institution by the Government of India in collaboration with the Government of Gujarat and the Indian Industry. In its formative years, it collaborated with the Harvard Business School. 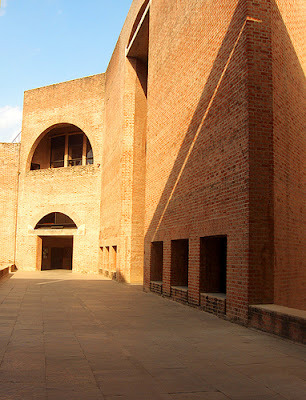 Largely as a consequence of this collaboration, IIM-A pioneered the case method of teaching in India. And since then, it has remained the last word in management education in the country." 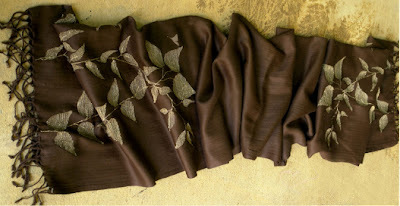 green and brown, originally uploaded by nairvee. 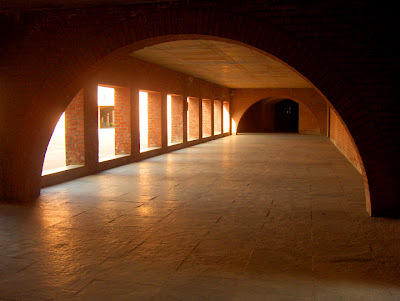 "Designed by Louis Kahn, a well known American architect, the 60-acre campus of the Institute has it all: a blend of austerity and majesty; spaces for casual interaction; frequently changing perspectives; and a balance between modernity and tradition that captures the spirit of contemporary India. It stimulates the imagination and creativity of the students, who are clearly the best in the country, coming as they do after one of the most rigorous selection process." "A work of art is the making of a life. 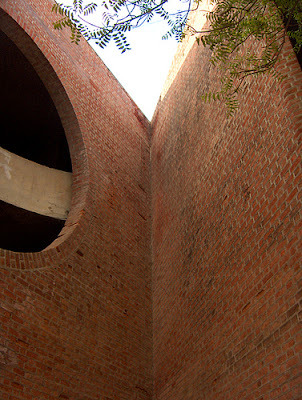 The architect chooses and arranges to express in spaces environment and in relationships man's institutions. There is art if the desire for and the beauty of the institution is filled." "The fullness of light, protected, the fullness of air, so welcome, are always present as the basis for architectureal shapes. 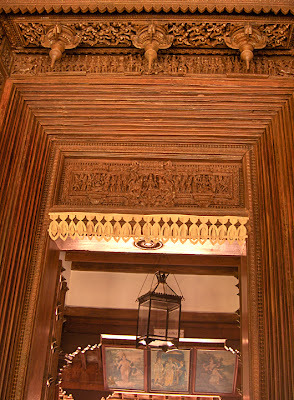 I was impressed with the need for air when I happened, with twenty other people, in the palace in Lahore, where the guide showed us the ingenuity of craftsmen who had covered an entire room with milticolored mirrored mosaics. To demonstrate the mystery of the reflections, he closed all the doors and lit a match. The light of the single match gave multiple reflections and unpredictably shut off the breeze. In that time, in that room, you felt that nothing is more interesting than air." 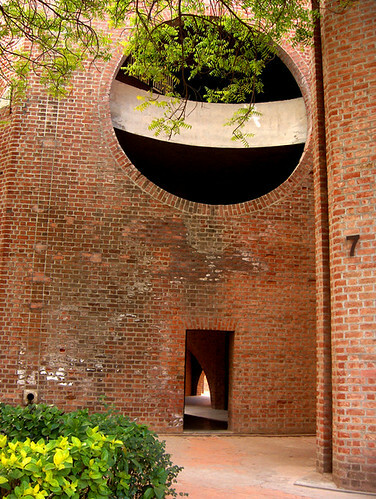 "Kahn's architecture is notable for its simple, platonic forms and compositions. Kahn design of buildings, characterized by powerful, massive forms, made him one of the most discussed architects to emerge after World War II. 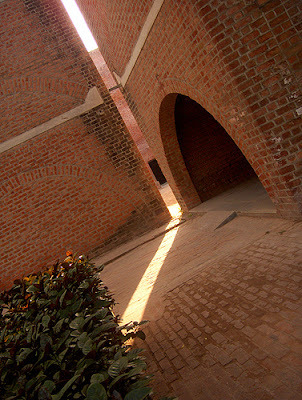 Through the use of brick and poured-in place concrete masonry, he developed a contemporary and monumental architecture that maintained sympathy for the site. 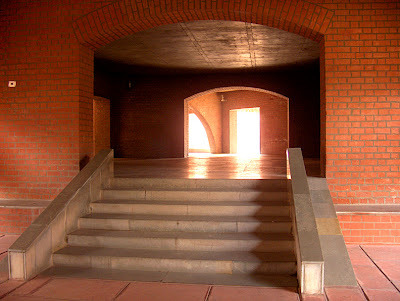 While rooted in the International Style, Kahn's architecture was a blend of his Beaux Arts education and a personal aesthetic impulse to develop his own architectural forms"
The Jindal Steel Works, Bellary.